I started teaching in a daycare setting teaching students as young as three to kindergarten. I taught for three years then I ran a daycare as a director for two years and became burned out quite quickly. So I gave it up for the business world, where I worked for 5 years and obtained a Master’s in Business Management. However, my love for teaching never left and my passion to get back to teaching took over. So I got my teaching certificate and have been doing it for ten years. When I started in public school it was a whole different beast from the babies in preschool. My very first teaching experience was fifth grade self-contained, I was hired through an alternative certification program and I was given the teaching standards binder and was told that I had three state test to prepare my students for (welcome aboard!). Freaked out is an understatement. Needless to say, I made it through that first year with the highest scores, and rookie teacher of the year! So I’m hoping that my many years of experience will help new and veteran teachers by giving teacher tips, insight, and inspiration on how to reach every student. When you are banging your head against the wall over the tremendous gaps and how to fill them check out my posts, newsletters, or send me a message to get ideas, freebies, and advice. 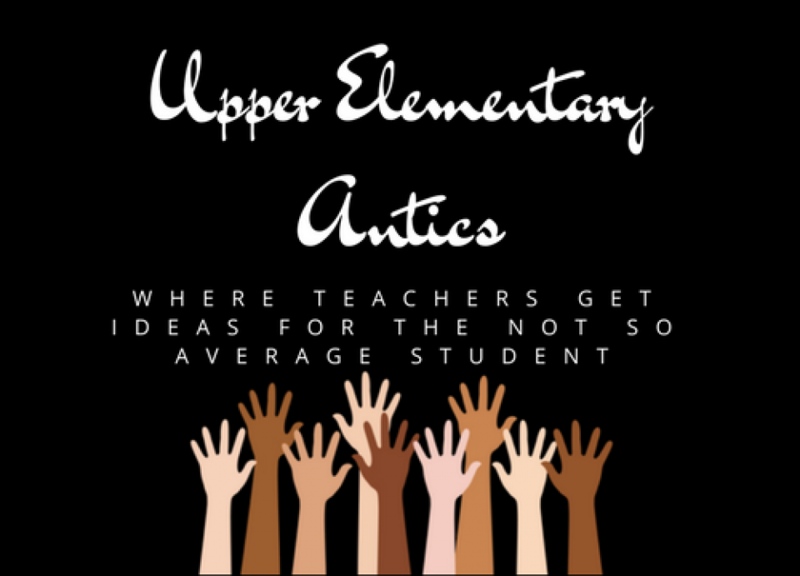 Subscribe to my email list to get updates on tips, freebies, and ideas from Upper Elementary Antics. Good job Angela from your favorite person.